1 raw lemon (without peel) has 17 calories, 0 grams of fat, 0 grams of cholesterol, 5 grams of carbs, 2 grams of fiber, 1 gram of sugar and 1 gram of protein. Lemons are a good source of Calcium, Vitamin B6, Iron and Potassium, Fiber and Vitamin C.
Lemon juice is believed to eliminate and prevent gallstones. Lemons have been know to cure hiccups when mixed with warm water and drank. Lemons contain limonene which stimulates cancer-killing immune cells (lymphocytes) that may also break down cancer-causing substances. 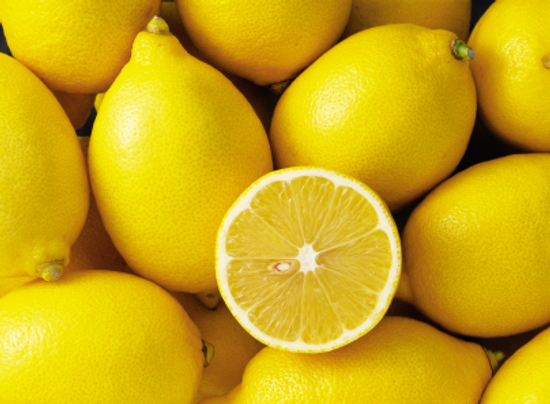 Although lemons are acidic, they are alkalizing in your body. Disease can not live in an alkaline environment! Lemon can help relieve many digestion problems when mixed with hot water. These include nausea, heartburn, constipation and parasites. Although the lemon is often thought of as acidic, it is very effective in curing many digestion problems when mixed with hot water, including biliousness, nausea, heartburn, disorders of the lower intestines like constipation and worm infestations. Lemons are very high in vitamin C which is known to help build strong immunity, keep your skin healthy, reduce your chances of infection as well as helping wounds to heal faster. Lemon juice is high in calcium to help strong bones, teeth and strengthen your nervous system. 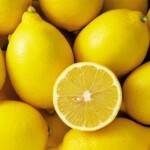 Lemon juice also relieves symptoms of asthma, tonsillitis and sore throat. Lemons are also a natural diuretic. This means it is good for people with urinary tract infections and high uric acid problems, such as those with arthritis or rheumatism because it helps flush out all the toxins and bad bacteria. To keep your rice from sticking together, add a spoonful of lemon juice to the boiling water when cooking. To re-crisp soggy lettuce leaves add the juice of half a lemon to a bowl of cold water. Then put the soggy lettuce in it and refrigerate for 1 hour. Then simply remove and dry off for use.